NEW YORK - During his free time on the job as a Google employee, Carl Elkin began tinkering with the company’s 3-D mapping program, wondering if it could identify rooftops that receive enough sunlight to make installing solar panels worthwhile. When the U.S.-based engineer showed a handful of colleagues the results of his labor months later, they had a eureka moment. Soon after, a team followed Elkin’s lead and designed Project Sunroof, whose website uses Google Earth’s aerial images to calculate any roof’s potential for solar energy. For homeowners, figuring out whether installing solar panels is a sound investment can be confusing. Project Sunroof aims to make the decision easier — and speed up the adoption of solar energy, which today accounts for less than 1 percent of U.S. electricity generation. Homeowners interested in assessing their property’s solar potential can enter their address on Project Sunroof’s website, and in roughly a second get a calculation of how many hours of usable sunlight their roof receives, Conkling said. Thousands of lines of computer code analyze factors such as the shade trees cast on a roof, its orientation and local weather patterns, he said. Project Sunroof then connects users whose roof is suitable for solar panels with companies that install them. “People can come in and very quickly and very easily get a pretty sophisticated understanding of their solar potential and whether it makes sense for them to go solar,” said Conkling, a product manager for Project Sunroof. The response has been encouraging, he said. Last month, Project Sunroof was among 13 projects from around the world to win a Momentum for Change award, which recognizes innovative and potentially transformative ways to tackle climate change and move toward a low-carbon future. “We were impressed by the scalability of the technology with more and more states and homes able to utilize it,” said Nick Nuttall, a spokesman for the Bonn-based U.N. Climate Change Secretariat, which presents the award. Since launching last year, Project Sunroof has expanded from offering analysis of rooftops in two states to 42 states, from New York to California. 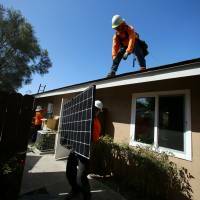 Thousands of users have been connected with solar-panel installers, Conkling told the Thomson Reuters Foundation. In many states, homeowners who produce solar energy can sell all or part of it the power grid. 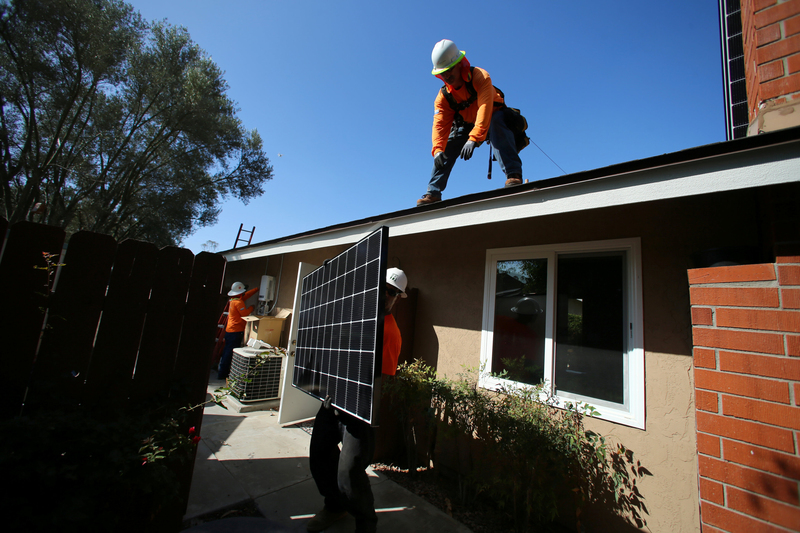 Such payments — and other incentives — are often essential to help offset the steep up-front investment, which can run between $17,000 and $24,000 for a typical solar panel system, according to data from research firm GTM Research. Other U.S. companies also map the solar potential of roofs, including Geostellar and Mapdwell. But Conkling said he is confident that Google Earth’s global reach and high-definition images can help it cover more ground and provide estimates with an unprecedented degree of accuracy. Nuttall, of the U.N. climate secretariat, agrees the system potentially could be used in many more places. “There seems no reason why one day it could not go global,” he said. In recent years, Google has invested nearly $2.5 billion in clean energy wind and solar projects, according to the company’s corporate website.